Senior Associate, Stress Engineering Services, Inc.
Leo Vega is a Principal at Stress Engineering Service, Inc. Mr. Vega leads metallurgical and materials related failure investigations for a wide range of customers in the oil and gas industry. Over the past several years, Mr. Vega has primarily supported upstream related issues. However, he continues to support land based drilling sites, midstream (pipeline, compressor station, and gas processing sites), and downstream related projects. 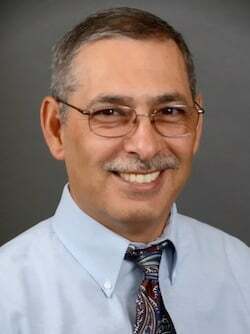 Mr.Vega is an active member of ASM International and Chairman of ASM Houston Chapter's Education Committee.